Improving Quality in Legal Studies. In the face of the grand challenges Western societies are currently experiencing, the modern European legal consciousness, as shaped by dominant legal education models, is still trapped within the parochial walls of nation state-centered legal thinking mostly developed by and addressed to relatively homogenous social groups. This begs the question whether the graduates of traditional European legal education models are adequately equipped with the necessary knowledge and skills to respond to problems of security, health, economic justice and the environment that escape the shrinking boundaries of sovereign state power. Drawing on such concerns, this conference will focus on how legal academics and practitioners can drive legal education to live up to its challenges by addressing a few burning questions: should European and international legal relations play a more relevant role in legal education? What technical and social skills need to be included in the curricula? What didactic approaches are suitable to these goals and what is the adequate blend of ICT and face-to-face teaching tools? These questions will be discussed by a group of international legal educators from several EU countries and the United States. 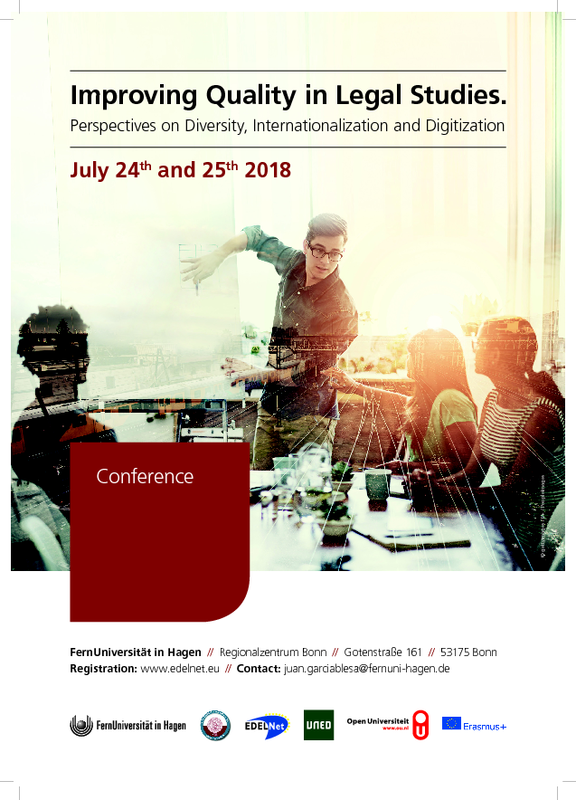 The conference is jointly organized by the European Distance Education in Law Network (www.edelnet.eu) and the Kompetenzzentrum für juristisches Lernen und Lehren at the University of Cologne. The programme will be combined with the presentation of examples from the EDELNet experience and supplemented by networking opportunities.